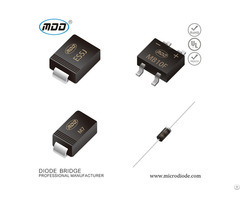 Microdiode Electronics (SHENZHEN) CO., LTD is a professional semiconductor enterprise which specializes in R & D , production of diodes and bridge rectifiers. 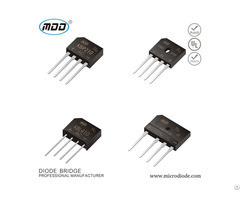 The factory covers 24 acres, 12000㎡ construction area and employs a total of 300 workers. The annual sale and production is about 5 billion peices. 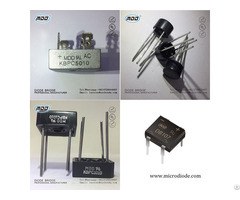 Company introduced a full set of international advanced equipment and scientific management system, and passed ISO9001: 2008 quality management system, ISO14001 environment management system certification and its products have been certified by UL, SGS ,etc, all products are RoHS compliant and enjoy good reputation in domestic and international markets.